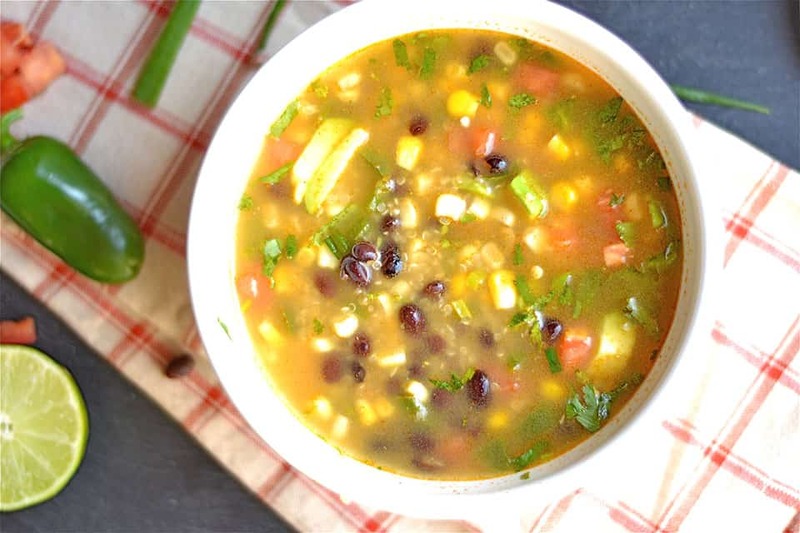 Black Beans, corn, peppers, and quinoa cooked inside a simple yet flavorful broth. 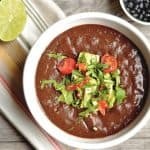 Topped with fresh lime juice, cilantro, and avocado to give this soup a perfect healthy Mexican flavor! 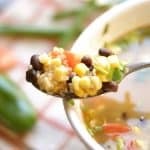 I love quinoa for just about everything, but in this soup might be my favorite way to enjoy it during the winter! 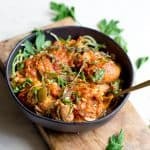 It’s also a comforting dish when you’re nursing your immune system, and definitely packs in more flavor than traditional chicken soup. 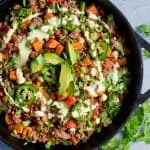 The lime juice gives it the right amount of tang, and the fresh cilantro adds to the Mexican taste but also packs in antioxidants and vitamin C (among many other nutrients). 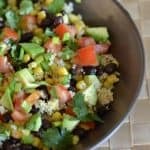 One of my favorite recipes on my blog is my Black Bean and Corn Quinoa Salad with Chiptole Vinaigrette. I eat this all the time. 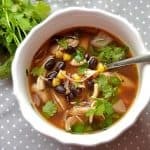 This soup is used during those cold months when I’m craving soup, but still want similar flavors!! Add in spices, broth, and cooked quinoa. Allow the flavors to come together in just 10 minutes, and it’s almost ready to serve! 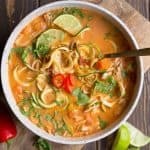 At this point, squeeze in the fresh lime juice and top with tomatoes, green onion, cilantro, and avocado. A few important things about this soup. 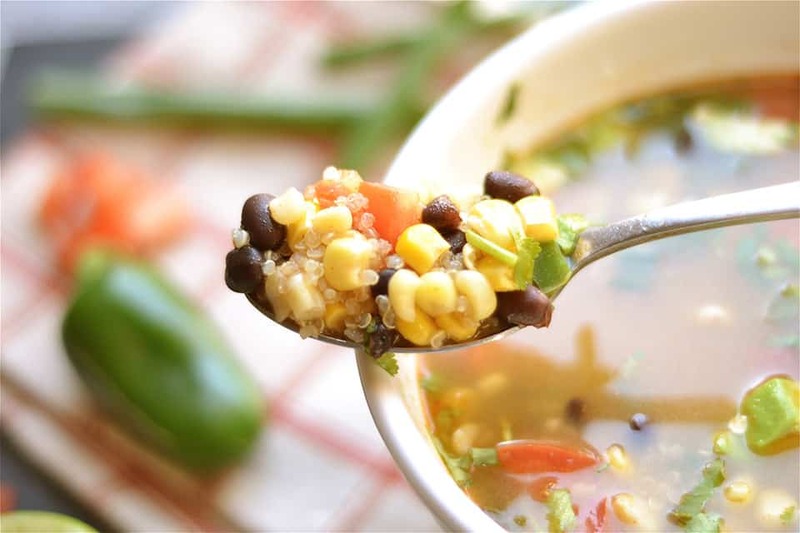 It’s helpful to have pre-cooked quinoa to add to this soup. This prevents the quinoa from continuing to expand while the flavors meld. I usually prepare a few cups of quinoa at the beginning of the week, and keep it in the fridge to add to various recipes throughout the week. Allow, I use a TON of cilantro. Because I love it. You can get crazy like me and add more than I mentioned below to your individual bowl. 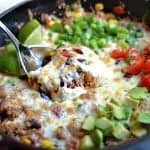 The 1/4 cup is just a baseline to add a bit of flavor. Begin by heating a large pot to medium high heat. 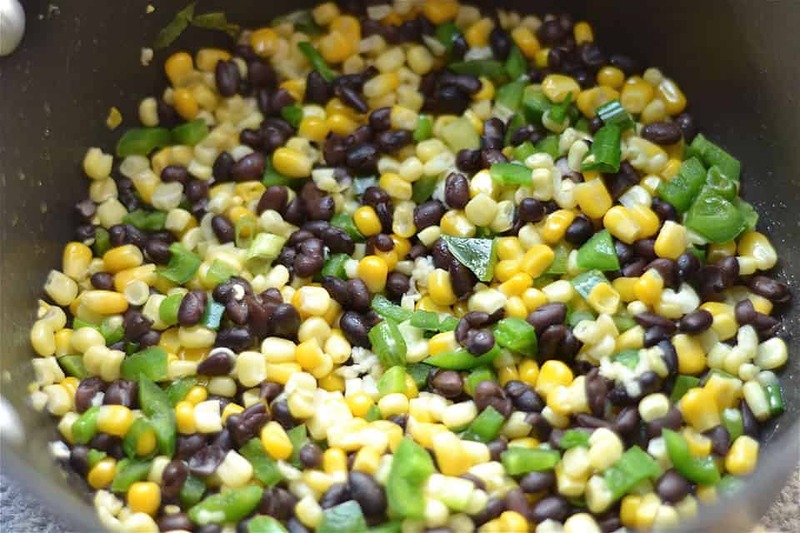 Add olive oil, corn, black beans, and jalapeño. Let cook for 5-7 minutes, until corn is completely thawed and peppers are soft. Add cumin and chipotle spice. Toss in quinoa and cover entire mixture with broth. Allow the soup to come to a soft boil. Reduce heat to low, and simmer for 10 minutes. Add fresh lime juice and pour into individual bowls. Top with green onion, tomatoes, cilantro, and avocado. To make cooked quinoa, boil 1 cup quinoa to 2 cups water or broth. Reduce heat to low and cover. Let simmer until quinoa is fluffy and has completely absorbed the liquid. I use much more cilantro than 1/4 cup. If you like the herb, go ahead and add plenty more to your individual bowl.